Safety is paramount in all of the activities that the group undertakes and is the foremost consideration in the scout sections especially when engaged in boating, canoeing and outdoor activities. All participants in any activity are required to equip themselves with the appropriate essentials for that activity and all activities are undertaken under the supervision of suitably trained and accredited members. If you have any concern with regard to safety whatsoever you are positively encouraged to make contact by phone and discuss your concerns with the Group Leader. Cubs and scouts are liable to be reprimanded by the leader if found flouting safety procedures and in persistent cases may be asked to refrain from participation in an activity. In the most extreme cases where the safety of others is being compromised, a member may be asked to leave the group for a period of time or on a permanent basis. While every precaution is taken to avoid accident or injury to members and leaders alike when involved in Scout activities, parents should be mindful that there is an element of risk attaching to some activities especially boating and mountaineering. Members have sustained injury in the past and undoubtedly, despite all our best efforts will do so again. Hearing of a child’s injury can be a shocking and upsetting experience for any parent, especially if the parent was not involved in Scouting as a child and so is unfamiliar with the nature of many of the activities that the child is likely to becoming involved in. Parents are encouraged to maintain regular contact with the leaders in the group and with other parents. This will ensure that all parents are fully aware of the activities their children are involved in and any concerns can be raised with the section leaders or the Group Leader. Possibly you may need some reassurance about safety aspects or about your child’s ability to be involved. It is common for parents to underestimate the resourcefulness of their own children especially when away from home for what might be the first time. 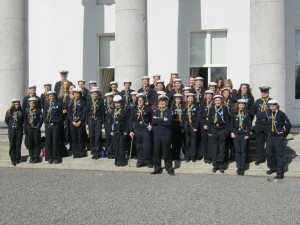 Each year the leaders organise open days where parents can attend an activity usually at the Group’s Head Quarters in Dun Laoghaire ‘the den’ where they can observe the nature of the activities undertaken. All parents are urged to attend these and satisfy themselves of the level of safety applied. For particular activities such as attending a camp, parents will be requested to sign a consent form and return it to the leader prior to the particular activity. Any questions arising from being asked to provide consent should be addressed to the leader but parents should note that if consent is withheld, under no circumstances can the scout be permitted to participate. The welfare and safety of all members and leaders is a foremost priority of the group and the national organisation. Scouting Ireland SAI endeavours to safeguard the welfare of all young members by protecting them from physical, sexual and emotional harm. The association in conjunction with the Society for the Prevention of Cruelty to Children introduced guidelines on Child Protection and provides on an ongoing basis special Child Protection Training sessions for adult leaders. All leaders who may come in contact with your children are screened by the association to ensure their suitability. In the event of an allegation of child abuse being made against a leader it is the policy of the association to remove the leader from all involvement and activities pending a full investigation. Furthermore, it is the policy of the association to notify the relevant Health Board of any allegation or suspicion of child abuse. Members of all sections in the group are required to adopt the same standards of behaviour when involved in Scouting activities as you would as parents expect of them at school. Disruptive behaviour, whether it is verbal or physical in nature, undermines the authority of the leaders and weakens the effectiveness of rules and procedures which are put in force to ensure the maximum standards of safety are observed. Where a member’s behaviour becomes problematical, it will be discussed with the parent. In the event of extreme or persistent misconduct by a member, in the interest of the safety of others, the member may be asked to discontinue as a member of the group. In the unlikely event of this extreme action becoming a possibility there will be ample opportunity for parents to discuss problems with the Group Leader. Often a deterioration in behaviour can occur due to a change in circumstances at home, especially in the case of unemployment, bereavement, marriage breakdown or other stress. In such circumstances attending Scout meetings can be a support to children. Parents are advised to notify the leader of the section or the Group Leader if there is anything of this nature which they feel the leader should be aware of or is likely to lead to a change in behaviour. Parents should use their own judgment in this regard and leaders will of course be totally discreet and treat all conversations in the strictest confidence. Throughout their time in Scouting every Scout will need certain personal equipment such as a Lifejacket, Waterproof clothing and camping equipment etc. Every Scout is expected to be responsible for their own equipment, its maintenance and safekeeping. There is no storage for personal equipment in the Den and all equipment, especially lifejackets and other boating gear, should be brought home after every time it is used.